It is not uncommon for basements to be plagued with moisture. Not only can this damage countless items, but the presence of mould and fungus could lead to health issues. Watertight Homes is pleased to be able to offer turnkey basement waterproofing solutions to all of our customers. We are very proud to work alongside some of the most esteemed experts in the business and there is literally no project too large or too small that we cannot handle. 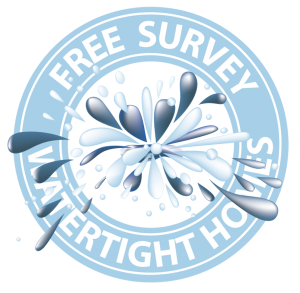 We have an experienced and highly qualified team of basement and waterproofing specialsts who work alongside our charted surveyors, certified surveyors and electro technicians on a daily basis. Whether referring to a cellar conversion or entirely new construction, our methods will help to eliminate all traces of moisture from within a home. Some of the most common approaches include waterproof tanking, interior drainage solutions and sealing all interior floors and walls to provide a barrier to exterior water. Each home is different and our experts will therefore adapt their approach around the unique needs of the client in question. Please feel free to contact us in regards to your basement waterproofing options.